It’s been the quite the year to be a horror movie fan. From fear-inducing breakout indies like It Follows to horror-comedies like What We Do In The Shadows, to upcoming releases from horror veteran directors like M. Night Shyamalan or Guillermo Del Toro, it seems like we have entered into some new genre reconnaissance. Sure, there will always be the thoughtless franchise sequel or reboot looking to make a quick cash grab (I’m looking you, Poltergeist), but one look at A24’s new trailer for The Witch shows there is still original quality material to get scared for. The performances from the young twins, though mostly silent, are hauntingly genuine and give the film a launching pad to explore the dynamics of three characters forced to share the same physical and psychological spaces. Slowly and quietly, the film transforms into a walking daytime nightmare – the living, breathing, kind of a nightmare you can not wake from. The end results are raw, disturbing and authentically scary. A tight slowburn, the film is expertly paced to reveal only the smallest pieces of information when the audience needs it. Goodnight Mommy relies heavily on atmosphere and tone, which Fiala and Franz have crafted to a fine degree. It’s enough to discourage viewers accustomed to constant jump scares and gore, but Goodnight Mommy is too sophisticated for its own good, much so that when the violence does arrive, it is extremely unsettling. Bottom Line: While its slower pace might not be for everyone, Goodnight Mommy is a quiet but satisfying artistic examination of loneliness and fear with enough depth and emotion to make second viewings an absolute necessity. 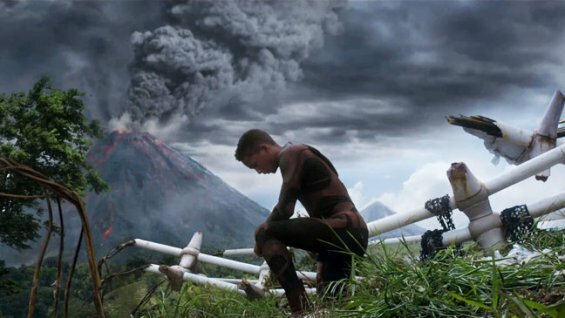 Sometime after his last apocalyptic train wreck The Happening, M. Night Shyamalan‘s After Earth features the father/son combo of Will and Jaden Smith learning to survive in a world filled with pheromone smelling beasts. Things start out with some potential, but the film quickly get dull, predictable, and void of any drama by the time the story is supposed to pick up speed, leaving this movie as an excuse for an established actor to show off his son in front of some poor CGI. Not to rag on someone as young as Jaden, but when you are only preforming alongside a green-screen, minor acting flaws become obviously magnified and things get bad. We’re talking cringe-worthy bad. The good news here is that Shyamalan’s reputation might rise slightly among his fans, as the movie is more watchable than The Last Airbender. The bad news is that most of his fans are now under the age of 10. Dark Shadows is a bit of an embarrassment. In the film, Johnny Depp takes on another role where he is cursed with the gift of immortal life. I have always wondered what it would be like to never die, and about halfway into this film, I knew what that feeling must be. I was staring at the screen thinking to myself “oh please just kill me now”, but nope – I was forced to live on and see one embarrassing scene after the next. What was Tim Burton thinking when he did this film? 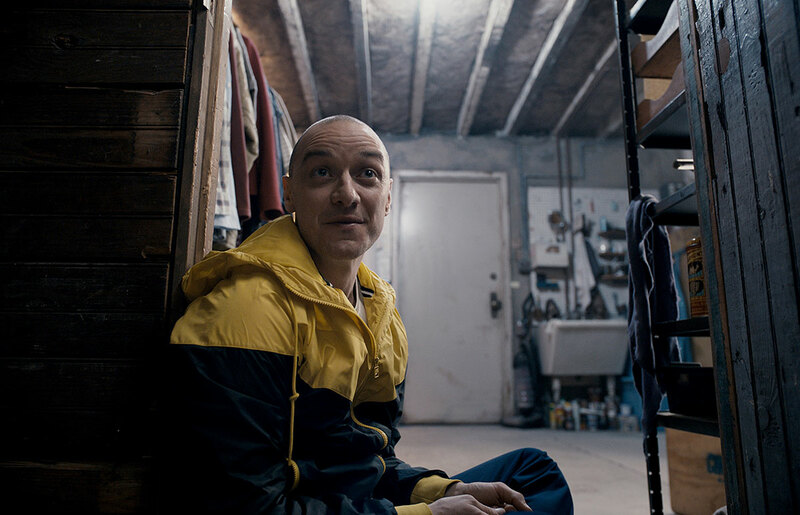 He knows how to put a story together, but lately it is as if Tim Burton has become the new M. Night Shyamalan – a director who favors style and visuals over story content. With Dark Shadows, all you really get is a collection of stale jokes that are not very funny. It’s not funny, it’s not dramatic, It’s not thought provoking, it’s not scary, it’s not really anything worth watching; Dark Shadows is just 2 hours of blah. Sure, there are a few entertaining parts, but they become overshadowed by the preposterous story events that don’t make any sense at all. 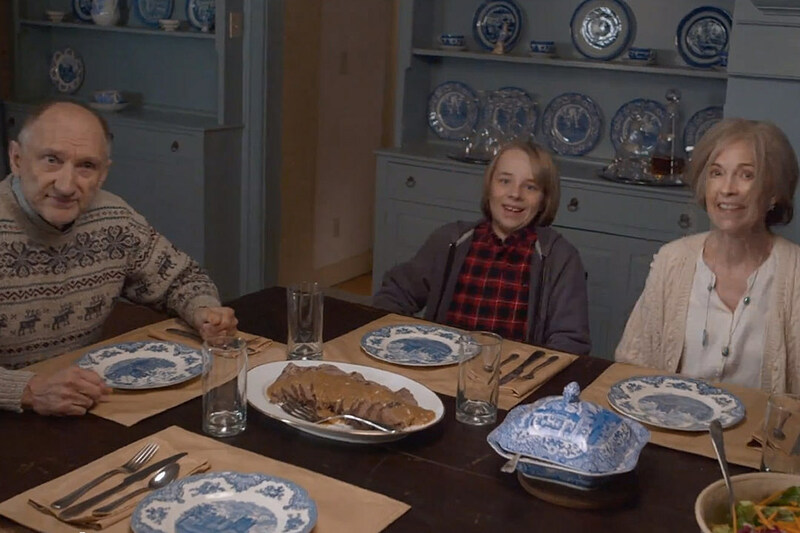 The film tries to make some sort of story about a family in financial trouble who need a bit of a hand from (cue vampire) “an old family friend.” But even this excuse for a story becomes tainted by tasteless jokes and a nostalgia for the 70’s. Next time I will have allot more empathy when I see that a character has been cursed to live forever – especially if they are working on a future Tim Burton movie.